DISCLOSURE | This post is sponsored by The Home Depot. All opinions and ideas are my own. 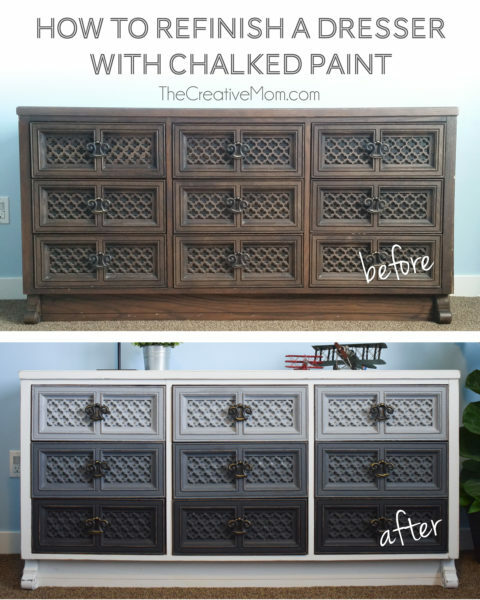 I’m excited to show you how to refinish a dresser with chalked paint. 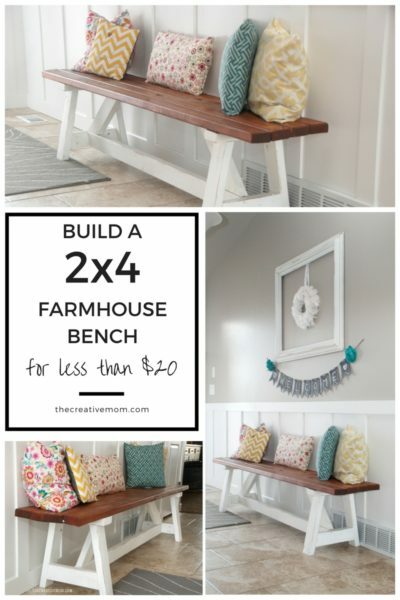 A couple of years ago I partnered with The Home Depot to build my first piece of furniture- a $20 farmhouse bench. 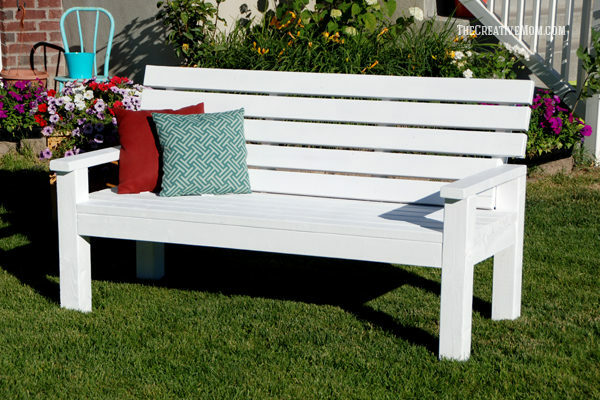 That bench has been one of the most popular projects on my site- you guys love that little bench. I do too! I still love that bench, and we use it every day, even 3 years later. As exciting as it is to build something yourself, it’s also not really practical all the time. 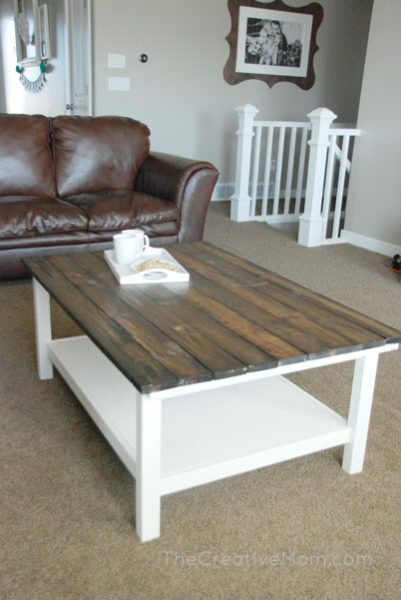 That’s why I love refinishing furniture. I love taking something old and making it into something nicer and prettier. 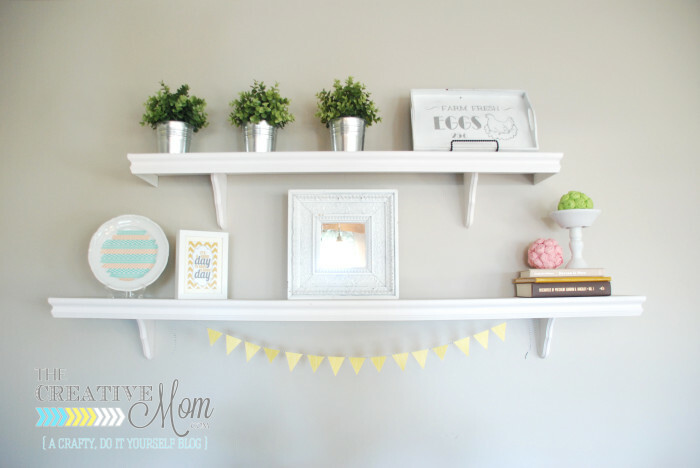 Today I’m partnering with Home Depot again- they are my favorite- to show you guys how I took this old dresser and refinished it into something pretty great with Rustoleum’s chalked paint. 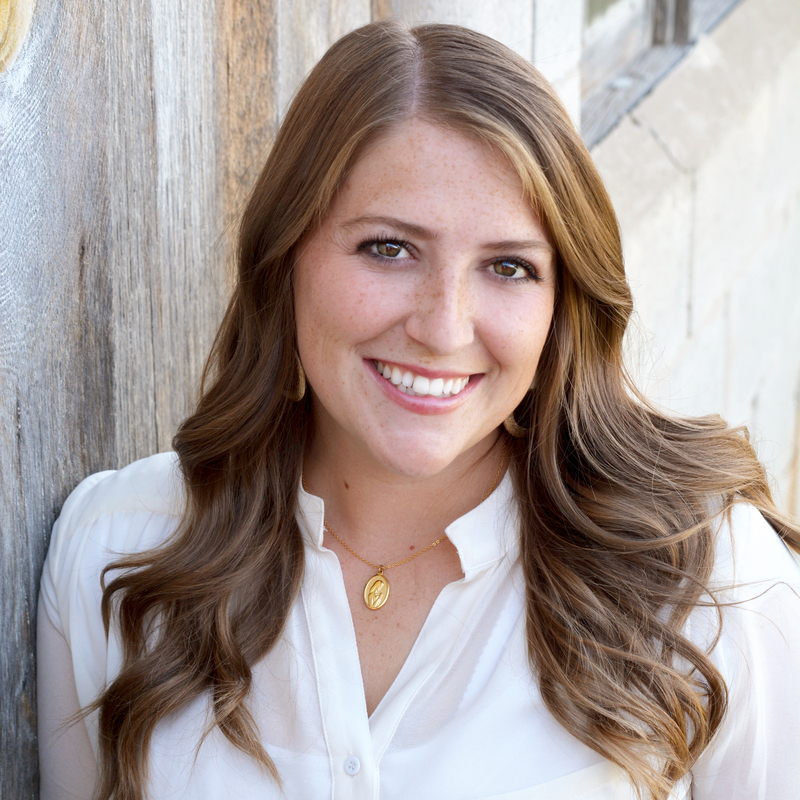 I am sharing the full tutorial, including step-by-step instructions (with photos) for how to refinish a dresser over on The Home Depot’s blog. 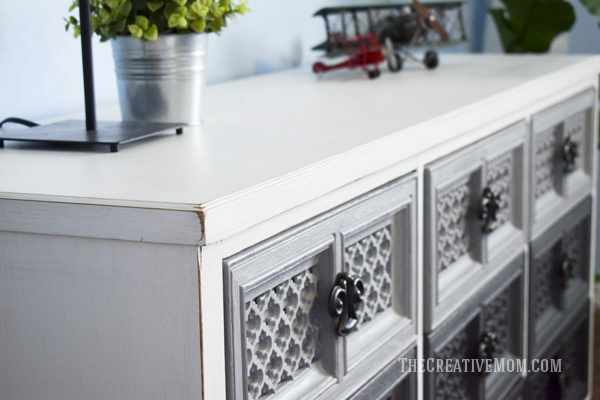 So click over there, and learn how to paint this dresser, because really, you could totally use this technique (and chalked paint) on any piece of furniture. 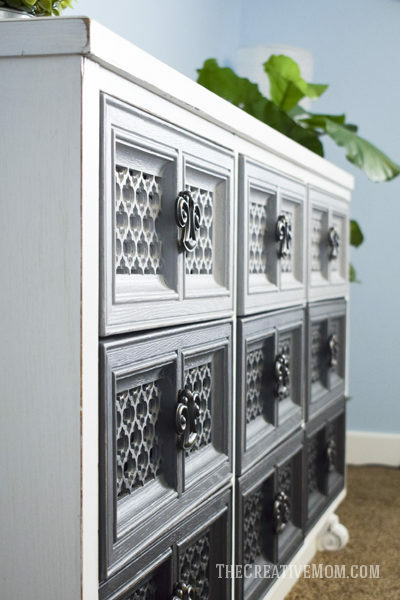 This dresser, though… Isn’t it gorgeous! I am seriously obsessed with it. 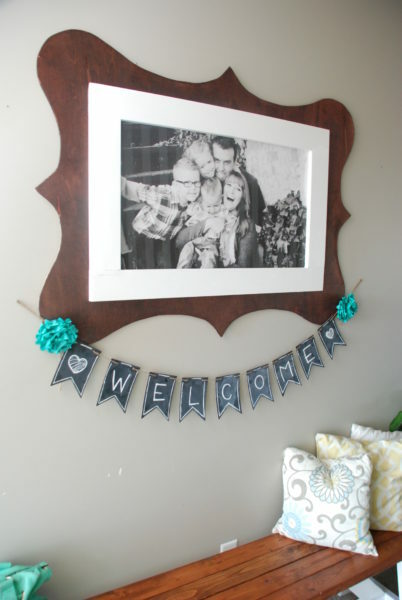 I loved it when I bought it at a yard sale years ago (for $15!) because it was a good sturdy piece of furniture- trust me when I say that sturdy furniture is important at our house because we have 3 sons. Honestly, I didn’t really like the way it looked as much as I loved how solid it was. It was pretty dark and kind of blah. But now that I’ve painted it, I cannot get enough of this amazing ombre dresser. 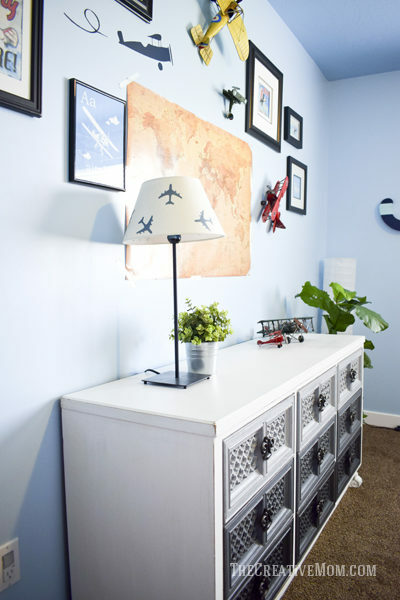 I wanted to put this dresser in my boys’ airplane themed room, so I knew it had to be BOY approved- which I honestly struggle with. 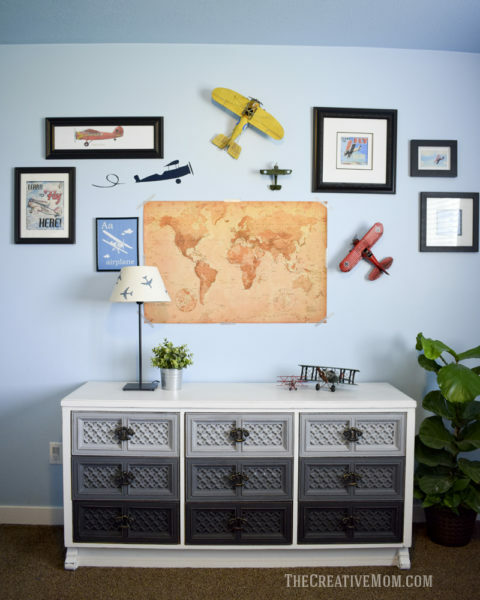 I always want to put a cute, feminine touch on things, but I knew my boys would love something more industrial and masculine looking. So I went with a white top and a white exterior and I painted the dresser fronts in a cool gray ombre. Don’t worry- I still distressed it a little- so we’re all happy! Didn’t it turn out great!? Those drawers are the things dreams are made of- seriously, that ombre! 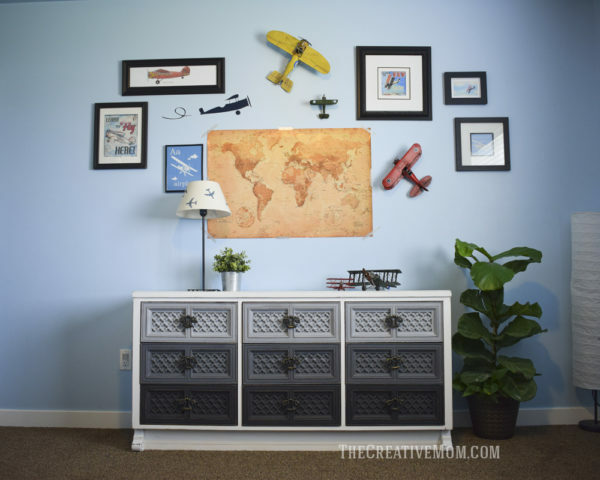 It is perfect for my boys’ room- they died when they saw how cool it turned out. They never thought you could refinish a dresser to look this custom and unique. Now they think I’m a really cool mom! 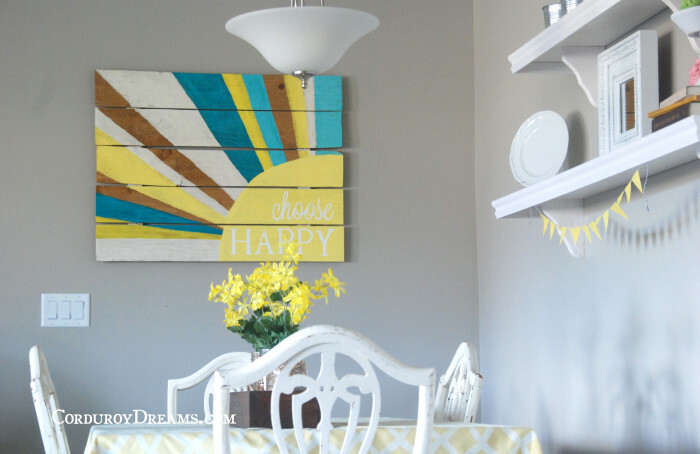 I used Rustoleum’s chalked paint, and I loved how easy it was and how professional the finished product looked. Plus, there was seriously only like 5 minutes of prep work- I didn’t have to sand the whole thing down or strip anything… I know, that’s the hardest part of refinishing furniture, right? You think you have to do a TON of prep work to refinish a dresser and get a nice finished product. That’s not the case with this paint, guys. It is amazing- just trust me. 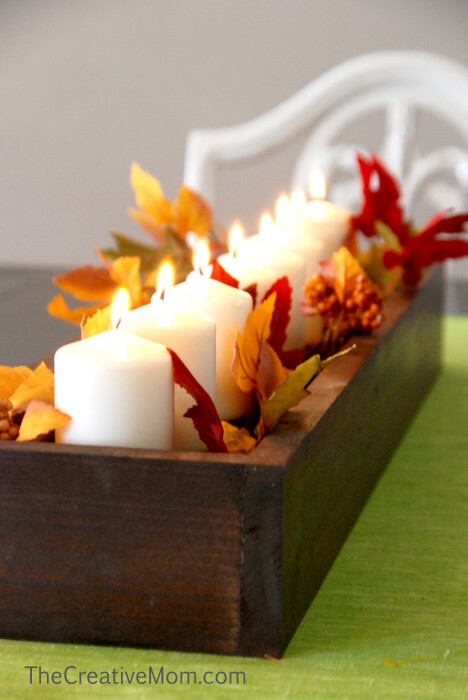 I’m sharing the whole tutorial over on the Home Depot’s blog. 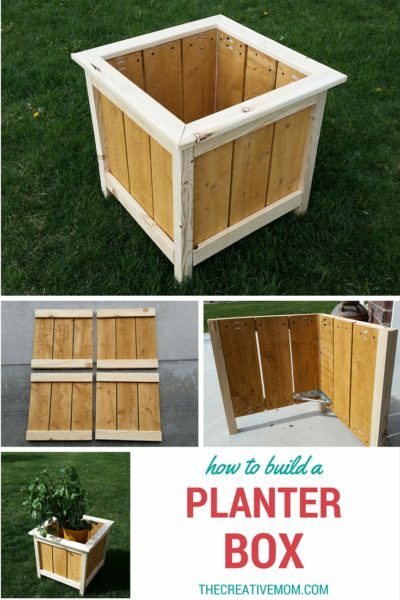 Please click over and check out the step-by-step instructions. Do me a favor while you’re picking up that chalked paint, and stop into the garden section at Home Depot. 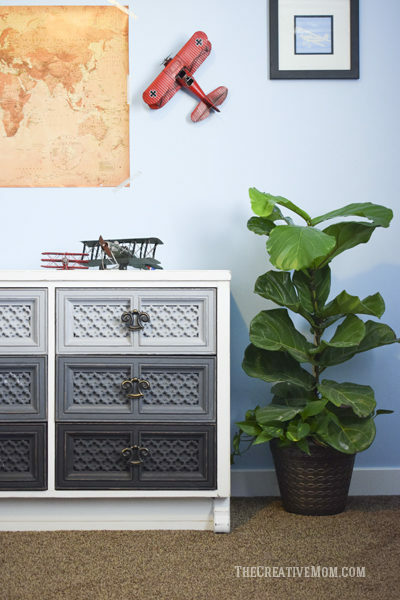 You need to pick up this fiddle leaf fig… Trust me when I say you’ll want one in each room! This little plant just makes my heart so happy because deep down I want to be a plant lady, but I swear I kill everything I touch. This little guy is resilient and somehow I haven’t killed him yet. He has got to be the longest lasting house plant in the history of my home- haha! For reals, guys, this plant is so pretty- go get one! Wow! It looks so stylish now. 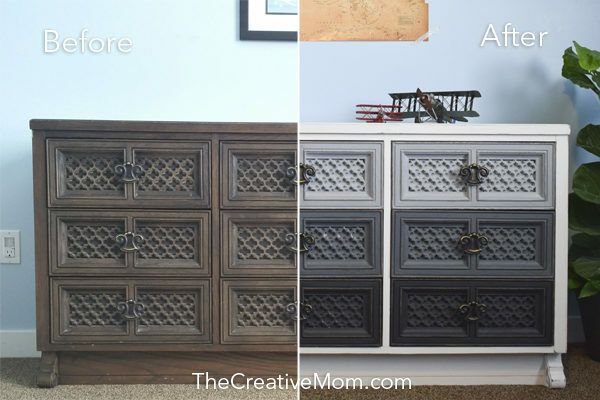 I can honestly tell you that with this great idea you not only gave a new life to you dresser but you definitely saved at least one more from the landfill. Thank you for sharing.